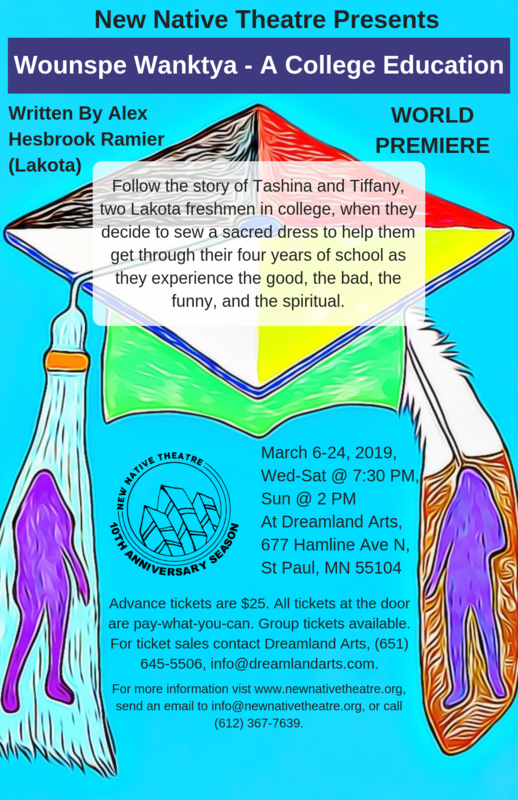 Follow the story of Tashina and Tiffany, two Lakota freshmen in college, when they decide to sew a sacred dress to help them get through their four years of school as they experience the good, the bad, the funny, and the spiritual. Performances take place at Dreamland Arts, 677 Hamline Ave N, St Paul, MN 55104. All tickets at the door are Pay-What-You-Can. Advance tickets paid online are $25. Native community members are encouraged to call ahead for PWYC tickets. Group tickets are available. Only 40 seats available each night.